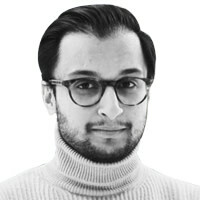 Ankit Panda is a writer, analyst, and researcher focusing on international security, geopolitics, and economics. His work has appeared in a range of publications across the world, including the Diplomat, the Atlantic, the Washington Quarterly, Al Jazeera, Politico magazine, and War on the Rocks. He is currently a senior editor at the Diplomat, where he writes daily on security, geopolitics, and economics in the Asia-Pacific region and hosts a popular podcast. He is additionally a columnist for the South China Morning Post and a consultant for a range of private and public organizations on Asia-Pacific issues. Panda is a graduate of the Woodrow Wilson School of Public and International Affairs at Princeton University. He lives in New York City.